Jack Crawford is the protagonist from one of the novels by writeups.org contributor Gareth Lewis . What’s the novel about ? Well, read on. Known Relatives: Martin (father, deceased), Karen (mother), Samuel Crawford (uncle). Base Of Operations: SPI unit, police headquarters. Height: 5’11” Weight: 160 lbs. A trained police officer, Jack has received additional training to strengthen his mind against psychic attacks. He has also studied electrical engineering, and has a fair understanding of psi-tech, technology based on the study of psychic abilities, which includes much of the technology used by the SPI. The Specialist Psychic Interventions unit is a part of the police assigned to deal with psychics (telepaths, telekinetics, and psychokinetics). One of their primary concerns is handling newly emerged psychics, called “Spikes”. This is whence the Spikebreaker nickname for the unit comes. The emergence of psychic powers can be traumatic for the victim, especially telepaths, and especially in crowded areas. Telepaths tend to involuntarily project their pain to those nearby, and often feel this fed back to them. So if in a crowded area when they snap, it can result in a growing loop which may result in fatalities. Members of the SPI are chosen due to compatibility with one of the SPI’s telepaths. Long-term mental connections can be hard to maintain unless the minds happen to be compatible. Thus, the numbers of SPI officers is relatively low, and not all telepaths can find a place with the units. Jack is partnered with one Lydia Cartwright. The telepath can use their partner as a remote conduit for their powers, allowing the officer to act as their position for determining the Range of their Powers. On the other hand, the link makes the pair vulnerable to attacks on the other. In DC Heroes terms, if one of the pair takes enough damage to knock them unconscious while mentally linked, the other suffers a Mind Blast at the APs of either the telepath’s Telepathy (for the officer, against which their Psi-Baffler offers no protection), or the RAP of the original attack (for the telepath). SPI officers also have training to allow them to keep telepaths out of their thoughts. The close link between Jack and Lydia means he can’t her out of his surface thoughts, but can generally prevent them going any deeper. With his family having been police officers for a few generations, Jack felt a pressure to follow them. Still, he resisted it enough to go to university first. When his father was killed on the job, however, he capitulated to his family’s wishes and joined, getting assigned to the Tech Crimes Division. When found compatible with a telepath, he was transferred to SPI, and partnered with Lydia Cartwright. An attraction developed between the pair during their training. Against strict regulations, they began a secret relationship. Growing closer, they developed a more intimate psychic bond than usual between partners, which proved too much, scaring both of them away. Their relationship deteriorated into bitterness and recrimination. Yet they were forced to continue working together, and keep the affair a secret so that he didn’t lose his job and she didn’t lose her place in SPI. With short cropped black hair and a lean athletic build, Jack rarely looks at ease in the dark blue (ultramarine) uniform regularly worn by SPI officers, preferring plain clothes. Usually calm and reserved, Jack acts in a professional manner. He usually thinks things through before acting. Uncomfortable with the chain of command thing, he can be awkward around superiors, since his tendency is to treat everybody in the same manner. So he tends to overcompensate by being fairly stiff and efficient with his superiors, often feeling like a fraud. The one thing that now threatens his calm is his link with Lydia. Neither are happy with the situation they find themselves in, but Jack doesn’t want to disappoint his family by being thrown off the force. So the pair have settled into an awkward situation where they often end up needling each other, further exacerbating their problems. He still has feelings for her, however, which he’s reluctant to face. He’ll stop at little to save her if she’s in danger. While mainly joining the police due to pressure from his family, Jack has come to enjoy the job, and isn’t sure whether he actually wants to lose it by admitting to his relationship with Lydia. Mind Blank is a Skilled Power (+1), and does not work against Lydia’s Telepathy (see below). Credentials (Police, Low), Expertise (Psi-Tech). Specialist Psychic Interventions unit (High), Police Force (Low). PADDED SUIT [/BODY/ 05]. Usually worn when expecting to encounter kinetics (telekinetics or psychokinetics), these protective suits (which include a helmet and visor) are also required to be worn when dealing with Spikes (see below). Psi-Baffler [BODY 04, Mind Blank: 03, Mind Field (Protects Power User Only): 03, Note: Bafflers worn by non-SPI police have one AP less in both Powers]. Always worn while on duty, these devices offer the wearer a degree of protection from psychic attacks. Screamer [BODY 04, Mind Blast (Area Effect of 2 APs, only affects targets with active Telepathy, Ignores Mind Field/Shield): 08, Neutralize (Telepathy only, victims of Mind Blast only): 12]. These small (6” diameter disc, 1.5” deep) devices, with a button on top which activates, emitting a localized pulse that attacks all telepaths in range currently using their telepathy (or any telepath whose partner is within that range when they’re in contact). The Screamer has a timer delay on it which is usually set to 3 seconds, but may be up to 20. Gun [BODY 04, Projectile Weapon (can take non-lethal rounds): 04]. Tranq Gun [BODY 04, Sleep: 05]. Jack is partnered with Lydia Cartwright, who has the following Powers which she may use through Jack: Life Sense: 02, Mind Blast: 04, Mind Field: 02, Mind Probe: 06, Neutralize (Telepathy Only): 03, Telepathy: 06. Additional information on how telepathy works in the setting is available at Garethlewis.eu. 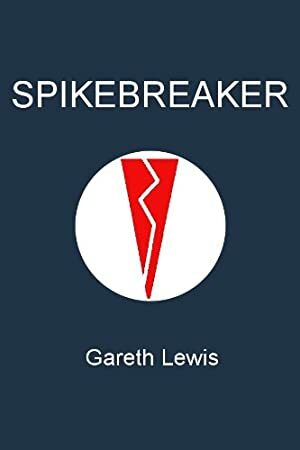 Source of Character: Spikebreaker (short story available for free at Smashwords . Writeup completed on the 23rd of April, 2010.